Even during Black History Month, U.S. schools are not adequately teaching the history of American slavery, educators are not sufficiently prepared to teach it, and textbooks do not have enough material about it. As a result, students lack a basic knowledge of the important role that slavery played in shaping the United States and the impact it continues to have on race relations in America, according to a recent study by the SPLC’s Teaching Tolerance project. The report, Teaching Hard History: American Slavery, traces racial tensions and even debates about what, exactly, racism is in America to the failure of schools to teach the full impact that slavery has had on all Americans. The report examines the lack of coverage that U.S. classrooms provide about American slavery through a survey of high school seniors and U.S. social studies teachers. It also offers an in-depth analysis of 15 state standards and 10 popular U.S. history textbooks, including two that specifically teach Alabama and Texas history. The investigation – conducted over the course of one year by the Teaching Tolerance project – revealed the need for far better and much more comprehensive classroom instruction across the board. Only 8 percent of high school seniors surveyed could identify slavery as the central cause of the Civil War. Most didn’t know an amendment to the U.S. Constitution formally ended slavery. Fewer than half (44 percent) correctly answered that slavery was legal in all colonies during the American Revolution. While nearly all teachers (97 percent) surveyed agreed that teaching and learning about slavery are essential to understanding American history, there was a lack of deep coverage of the subject in the classroom, according to the report. More than half (58 percent) reported that they were dissatisfied with their textbooks, and 39 percent reported that their state offered little or no support for teaching about slavery. Teaching Hard History: American Slavery relies on noted historian Ira Berlin’s 10 essential elements for teaching American slavery, articulated in the foreword to Understanding and Teaching American Slavery, as a framework for analysis. Teaching Tolerance worked with the book’s editors, Bethany Jay, Ph.D., an associate professor of history at Salem State University; and Cynthia Lynn Lyerly, Ph.D., an associate professor of history at Boston College; to convert these elements into 10 key concepts of what students should know. Teaching Tolerance also assembled an advisory board of distinguished scholars, and partnered with teachers and institutions of higher education, to develop a framework and offer a set of recommendations for teaching about American slavery. The recommendations include fully integrating American slavery into lessons about U.S. history, expanding the use of original historical documents, improving textbooks, and strengthening the curriculum on topics involving slavery. The Smithsonian National Museum of African American History & Culture (NMAAHC) in Washington, D.C., also praised the report and the resources being made available to teachers through the Teaching Tolerance program. “As the first national museum dedicated to telling the African-American story, we strongly support and encourage Teaching Tolerance’s efforts to unpack the reality of what our education system teaches about slavery and what students are learning about slavery,” the museum wrote in a statement. “The information and the resources that Teaching Tolerance has developed will have a significant impact on the realm of history education. The study follows Teaching Tolerance’s widely cited Teaching the Movement reports that evaluated state standards for teaching the civil rights movement. At the time, researchers suspected that states did a poor job of teaching the civil rights movement, in part because they failed to adequately teach about its historical roots in slavery. 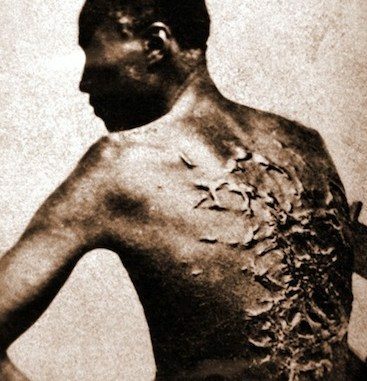 Teachers can access resources on teaching American slavery at www.tolerance.org/hardhistory. The resources are offered to educators at no cost. NNPA: Only 8 percent of [U S] high school seniors surveyed could identify slavery as the central cause of the Civil War.